Should you try Traditional Chinese Medicine and acupuncture to help you get pregnant? Yes. Here’s why. Acupuncture helps the body to become balanced and healthy. There are many studies that show great success when using acupuncture in combination with medical fertility treatments and on its own. I have included an article written by an acupuncturist to explain it in more depth, but before that I have some advice for you. When deciding to try acupuncture, you should be ready to commit to a health plan. You cannot just receive one treatment and bam! that’s it. It will take a series of sessions to have an effect. Think at least three months; at first the sessions are closer together and then moving farther apart once you are balanced. I personally see an acupuncturist monthly as part of my total health system; you should check it out. 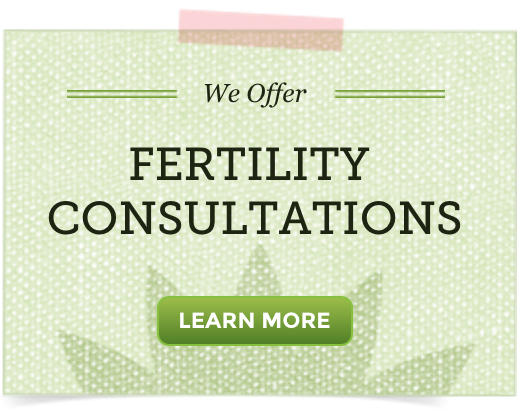 It may seem like fertility treatment is a by-product of our modern, technologically-advanced world. The very frontiers of high-tech science are pushed by the challenges of fertility treatment: hormones injections and IVF. And as wonderful as the advances are in helping couples to achieve their dream, the success rate is far from perfect, leaving many turning back to much older technology – the ancient Chinese art of Acupuncture. Acupuncture is gaining acceptance as a complementary therapy to other fertility treatments, where it has proven to be especially beneficial. Studies have shown that acupuncture definitely increases the rate of pregnancy in women undergoing in vitro fertilization (IVF). No one can agree on how or why this therapy works. The traditional Chinese practitioner’s explanation involves concepts such as ‘Qi’ imbalance and a restoration of harmony to the body, but according to Western medicine, the explanation is more likely to lie in brain chemistry. However, a slightly more Western way of looking at the effects of acupuncture points less to the mystical Qi and more towards the solid science of brain chemistry. It has been noted that acupuncture increases production of endorphins, the body’s natural “feel good” brain chemical that also plays a role in regulating the menstrual cycle, egg production, and possibly ovulation. It has also been found that acupuncture treatment for infertility increases blood supply and flow to the reproductive organs, leading to speculation about increased egg follicles and elevated hormone levels around the ovaries. It is also possible that acupuncture could help when the lining of the uterus is too weak to maintain a pregnancy – a problem associated with miscarriage. Increased blood flow may lead to a stronger lining in the uterus to better able to sustain an implanted embryo. Unfortunately, acupuncture will not help everyone. Good candidates have functional rather than structural reasons for infertility. Where there is a structural problem – such as a blocked fallopian tube or a fibroid tumor – acupuncture is not likely to help. And, past a certain age, acupuncture has little chance of being effective. If you are looking at acupuncture as a first or complementary treatment, make sure you find a respected practitioner, preferably one known to and in contact with your fertility doctor. Be aware that treatments can vary dramatically in length and method, as can the costs. And be sure to check that you are covered for acupuncture by examining your insurance policy carefully. I have done two acupuncture treatments. After my first one, my luteal phase was 5 days shorter. I am not sure what the reason for this is. There is only one acupunterist in my area that works with fertlility and she is is the one I saw. Any ideas as to why my luteal phase would be so short after this? I believe acupunture helps a lot with conception. I did 3 cycles of IVF and the first and last cycle I didnt do acupunture but only did it with the middle cycle which I conceived. I stopped my sessions after taking the first pregnancy test and guess what I miscarried after 5 weeks. I should have carried on my acupunture sessions for the entire first trimester. I believe acupunturem helps a lot with IVF implantation and natural conception. Acupuncture is fantastic for fertility. Your Country/State should have a governing body with a list of qualified practitioners in your area. Acupuncture is quite helpful in assisting with fertility. I had done it for two months and the benefits are that my periods come exactly on the 28th day so am able to track my ovulation. Before acupuncture my periods were all over and sometimes they did not come at all. Do you know the best way to find an acupuncture specialist in my area? I can always select someone off the internet but I want to make sure I go to the best. Any suggestions would be greatly appreciated. Ask friends, doctors, midwives, naturopathic doctors, massage therapists, chiropracters in your area if they could recommend someone for you.